Have you struggled to avoid tourist trap restaurants during your first days in Paris? I’m constantly being asking for restaurant recommendations by clients: specifically recommendations on where to head after taking one of our walking tours. Ah, our beloved Paris Along the Seine walking tour. This is one of our OG (that stands for original gangster ;)) tours from when Sight Seeker’s Delight was company founder Karen’s little baby. When travelers write in wondering what to do if they’ve never been to Paris before we always suggest this one because you get to see most of the great traditional monuments of the city. that being said, this tour DEFINITELY isn’t just for Paris first-timers! I lived in Paris for years before I joined the Sight Seeker’s Delight team and went on this tour. I thought I knew all there was to know… boy was I wrong. For travelers though, the Seine tour allows you to get your bearings in the city while learning some incredible history and memorable anecdotes along the way. Okay – so after 4 hours of touring you’d probably be feeling a little hungry – understandable! The Paris Along the Seine tour ends in front of the Grand Palais, which is right by the Champs Elysees and across the river from Invalides. This can be a tricky triangle to find a good spot to eat in… but I’m here to help. Read on for my top picks of where to eat something yummy while resting your feetsies. If you’ve been following our blog for a while, than you know that we already covered the top reasons to visit Ladurée on the Champs-Elysees. Here’s what we didn’t cover in that article: while Ladurée is definitely most well known for its macarons and other tasty sweet treats, the restaurant on the Champs-Elysées is also serving up some yummy, more filling food. The prices do tend to be a bit on the higher side. But think of dining here as a complete experience, not just a meal out! The decor at this flagship location is nearly Versailles-worthy. You’re in Paris, so we say…treat yo’ self! I say Ladurée should be recognized for their other delicious offerings! So, why not stop here and see for yourselves? Bear with me here while I explain… BECAUSE IT’S DELICIOUS TOO, ok?! One thing that makes Paris so interesting is that it is truly a metropolitan city filled with people from all walks and nationalities. And lucky for all of us, there are some great Italian restaurants sprinkled throughout the city! 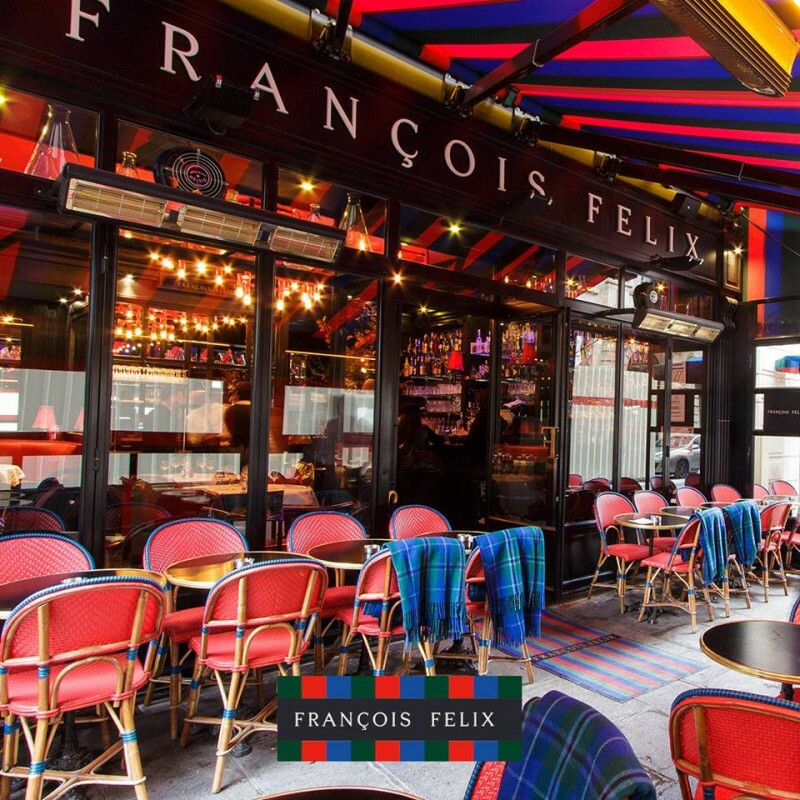 Located just steps away from the Place de la Concorde and the end of our Paris Along the Seine tour, this restaurant is where it’s at for some tasty Italian dishes such as their truffle pizza and chicken Milanese. So why not take a break from that boeuf bourguignon and French onion soup and head here? It’s worth it! 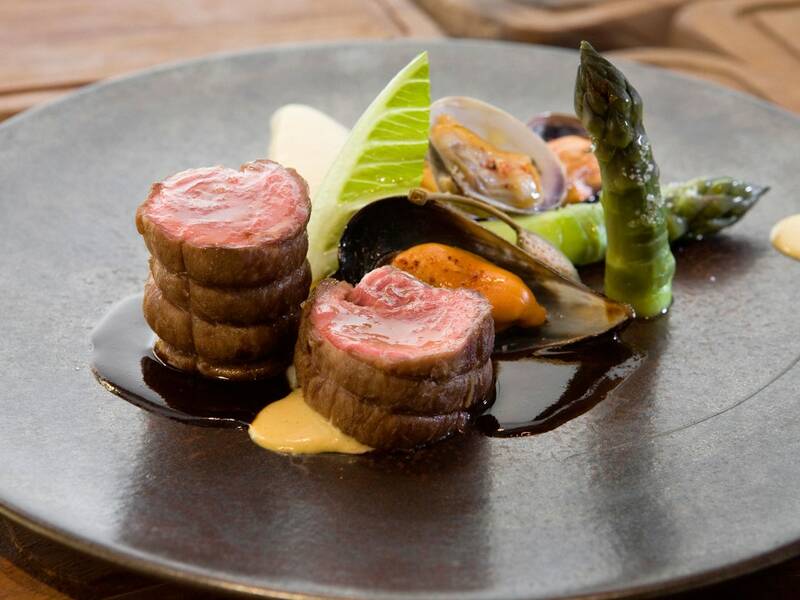 PS: did we mention it is Michelin starred as well?! I hope I didn’t lose you at the Italian place, because here we are, back again at a classic French bistro. 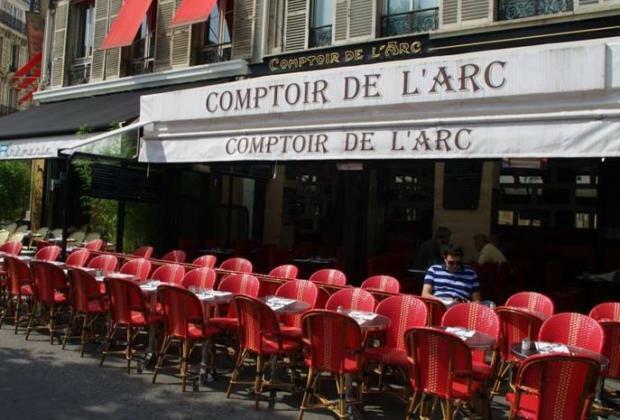 This place is most well known for its steak and French onion soup, and it’s just steps away from the end of the Paris Along the Seine tour. It’s right next to Farnesina! Hmmm, will it be French or Italian tonight? Bonus for our American followers? The chefs here serve up American-sized portions, so you won’t be leaving hungry. FINALLY, a French bistrot that understands what our bellies need! Open: Monday-Saturday, 7am-2am. Sunday, 9am-12am. Food is typically south-western Basque French food, which tends to be a bit richer (though still highlighting southern vegetables like red peppers). Bonus: it’s halfway to the Eiffel Tower! This place has a great ambiance – sometimes rare to find so close to the Champs-Elysees. The terrace is wonderful in warm weather and if not the grand windows let in all the sunlight you could wish for. All the dishes from the poached trout salad to the chicken shish-kabobs with creamy risotto are consistently good quality… and relatively inexpensive, given the area. Their cheese plates, desserts, and cocktails are all fool-proof choices! Chez Gabrielle is a fairly small restaurant in the bistro/brasserie traditional French style. Here in this elegant but cozy restaurant, you can get some great food at a reasonable price (3 courses for around 37 euros). There are a lot of traditional French food and some excellent seafood choices. Ever tried flamed scallops? This would be the place to do it! Open: M-F noon – 2pm, 7:30 – 10pm. Sa 7:30 – 10pm. We know we may have worn you out on that Paris Along the Seine tour… but is there anything more enjoyable than hashing out everything you just saw over some good food with your family and friends?! Whether you’re in the Marais, checking out Notre Dame, or climbing the Sacre Coeur, we’ve got your back! This entry was posted in Food & drink, Restaurants & Cafes and tagged arc de triopmhe, Champs-Elysees, dinner, lunch, restaurants, Seine. Bookmark the permalink.